It's been I while since my last post (apologies). Been doing a bit of traveling back home to Sydney Australia, and currently in Tokyo. 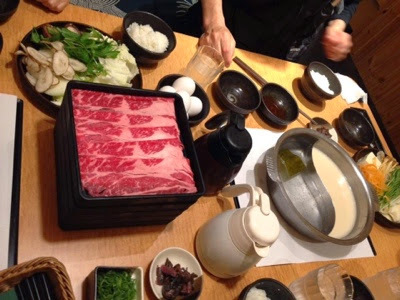 That aside, we had a nice meal at a shabu shabu (Japanese hot pot) restaurant, we could also do sukiyaki (pan fried beef) as well so we did both. 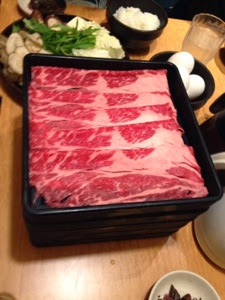 We suffered greatly after the meal as it was a buffet style for ¥2,590 yen per person, over eating is over rated! !